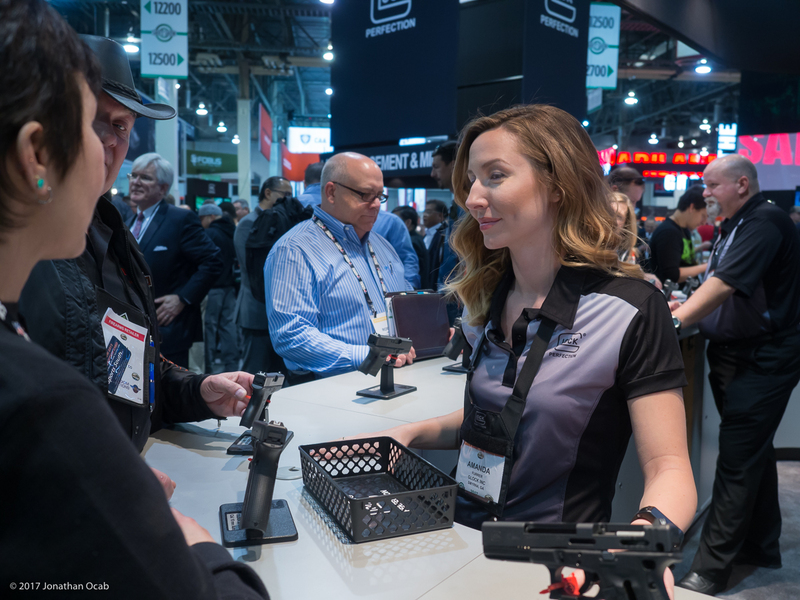 Be sure to read through the preceding parts of my 2017 SHOT Show After Action Report. The index for SHOT Show 2017 can be found in Part 0. One item of note that I wanted to point out was the lack of any new product by Glock at the 2017 SHOT Show. Glock was obviously in attendance at SHOT Show, and if you read the book, Glock: The Rise of America’s Gun, you will know that Glock has a storied history with SHOT Show. 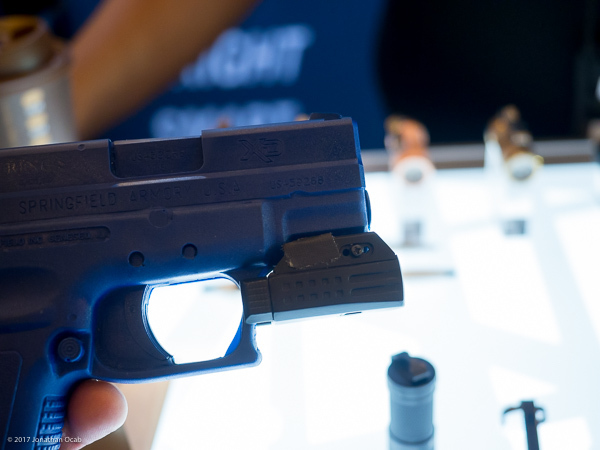 The necessity of being present at the largest firearms industry show in the world aside, you have to wonder if the lack of new product signals a slowdown in development. 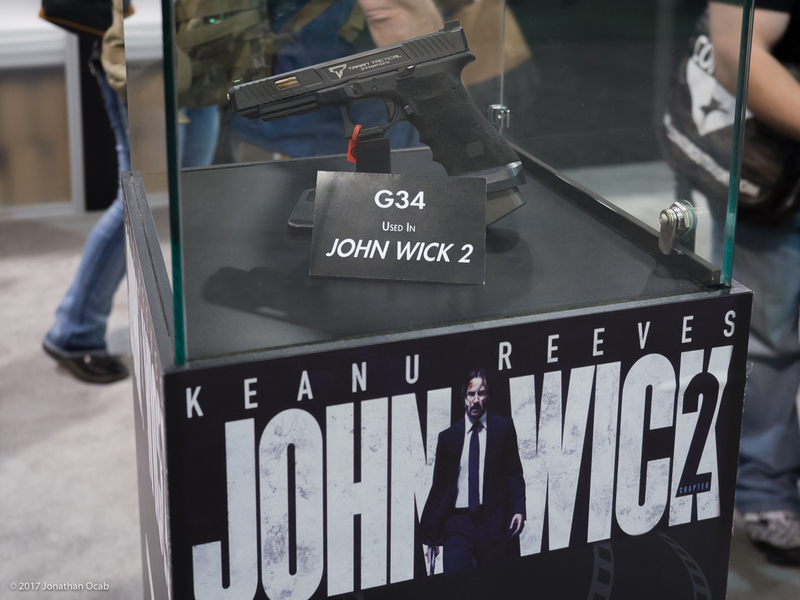 Glock has already released Generation 4 variants of their existing Generation 3 pistols. They have a subcompact single stack 9mm. They have micro RDS-ready variants. So there really is not much to create as far as the Glock pistol lineage. 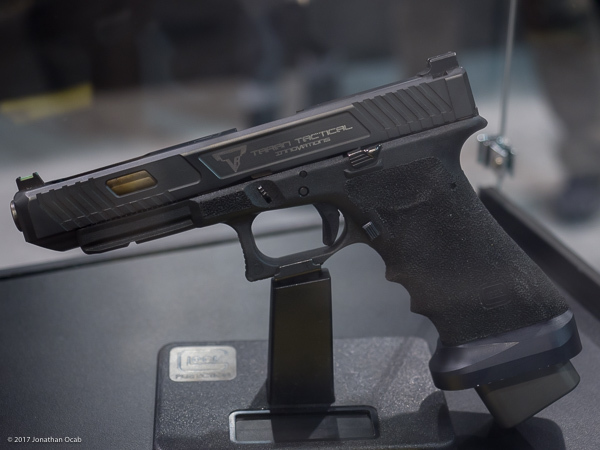 I do foresee Glock possibly getting into the the “custom shop” arena, like Smith and Wesson and Sig Sauer, who have speciality upgraded versions of their standard models. Companies like ATEi, Salient Arms, and Zev Technologies are making money on custom Glocks, so Glock might find it in their best interest to create their own custom shop division, or perhaps even acquire someone like Zev Technologies. While walking the halls from booth to booth, I came across Nosler who had an interesting sign on a stand in their booth. .22 Nosler is a new cartridge that debuted at the 2017 SHOT Show and the specifications look impressive, particularly when comparing .223 Remington 77gr (Nosler Custom Competition BTHP) vs .22 Nosler 77gr. 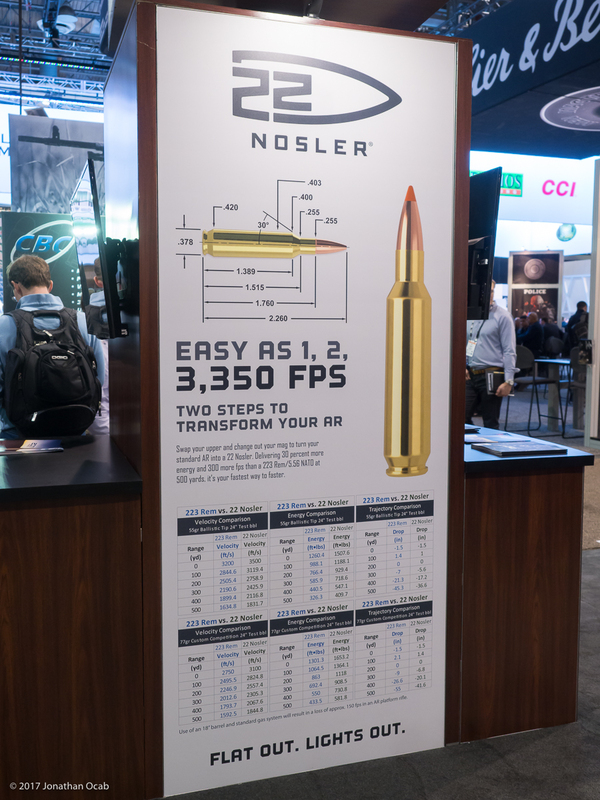 Nosler indicates they can get a 77gr BTHP pushing 3100 feet per second at the muzzle with .22 Nosler vs 2750fps in .223 Remington out of a 24″ barrel. This is quite impressive. When I was at the booth I inquired about load data and the representative said the data has not been published as of the first couple days of the show, but should be on the website before end the end of the week. I did not get a chance to look at the data until I got home from Las Vegas. Glossing over the data (ref. 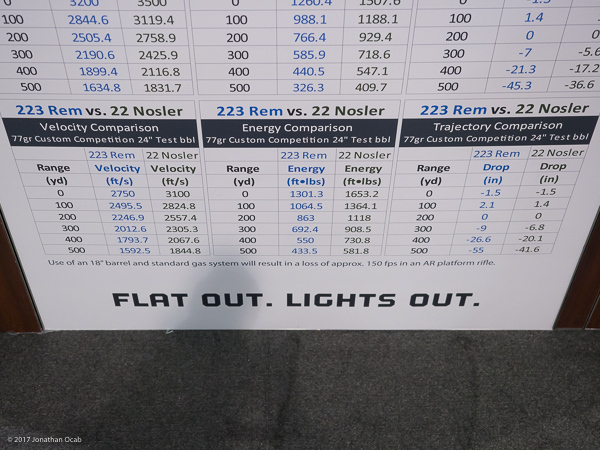 https://load-data.nosler.com/load-data/22-nosler/), it does appear that their 77gr load data shows a maximum of about 2900fps in a 24″ barrel, so I am not sure if their poster at SHOT Show was incorrect. So it appears the 3100fps cited is for their own factory ammunition. The Nosler data for .22 Nosler with a 77gr Nosler CC BTHP shows 28.5gr Alliant RL15 is maximum load for 2960fps out of a 24″ barrel. It is hard for me to gauge this because I am more used to 20″ AR-15 Service Rifle barrels. My trusty load of 24.0gr RL15, CCI BR4, Lake City case, with any 77gr variant usually nets me 2750fps. 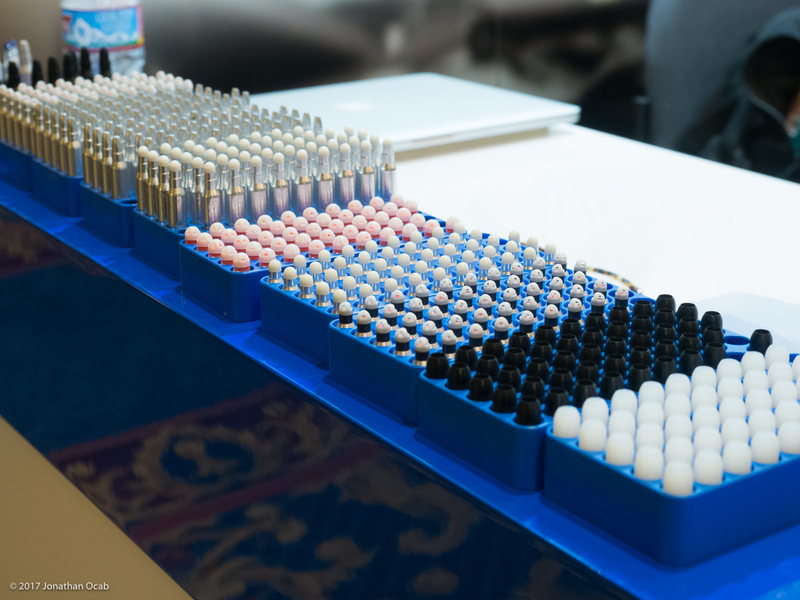 If you ‘assume’ 25fps per 1″ of barrel, that means my same load will get 2850fps in a 24″ barrel, maybe 2900fps. Which makes the 77gr .22 Nosler with 28.5gr RL15 maxing out at 2960fps doesn’t seem all too impressive. At least not as impressive as the 3100fps they cited on their banner at SHOT Show. Anyway, if you want to try .22 Nosler in your AR-15 rifle, all it requires is a new barrel (or new upper) and 6.8SPC magazines. The standard AR-15 bolt for .223/5.56 will work. Barrel life will definitely be shorter than with .223 Remington or 5.56 NATO. This will be an interesting variant for the AR-15. From an NRA High Power standpoint, this won’t be legal for Service Rifle, so only space gun / AR-15 match rifle shooters can take advantage of it. But for those running an AR-15 in Match Rifle have already moved on to 6mm variants in the .223 pattern rifles, or 6.5mm Creedmoor in a .308 pattern rifle. Time will tell if .22 Nosler catches on. It is obviously too early to judge this new cartridge. Another interesting development on the factory ammunition front comes courtesy of Federal Ammunition. They are expanding their Federal Premium Ammunition line by creating the Gold Medal Berger options. 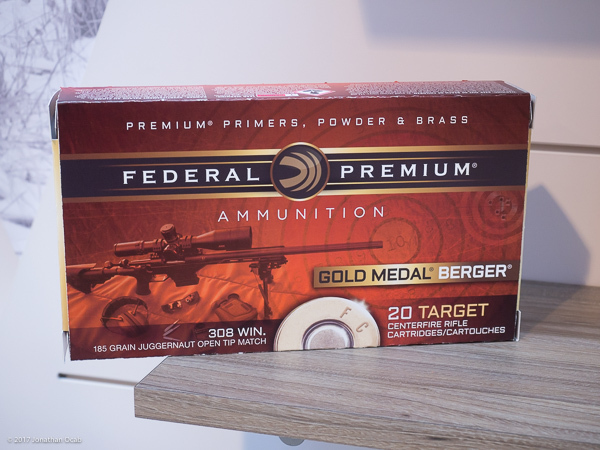 Federal Gold Medal Match has typically been .223 Remington with the 77gr Sierra Match King or the .308 Winchester with the 168gr or 175gr Sierra Match King. The Sierra Match King is still the baseline standard by which all traditional BTHP bullets are compared to. 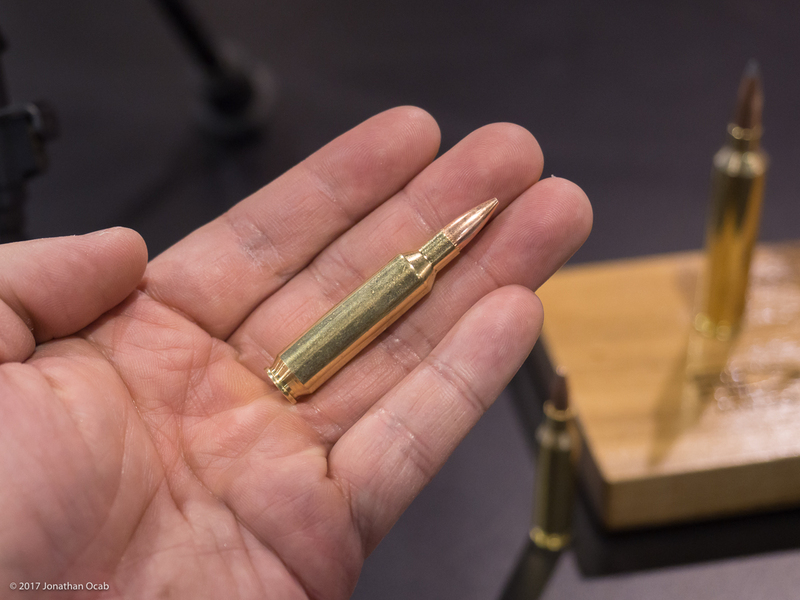 But in the modern era of bullet design, companies like Hornady and Berger have been pushing forward. Berger Bullets is widely accepted in the competition rifle community as being the best bullets around for pure accuracy. Go to any F-Class match and most guys will be handloading Bergers for their rifles. The fact that Berger is being used by the top shooters in the world means that there is a market to be filled. 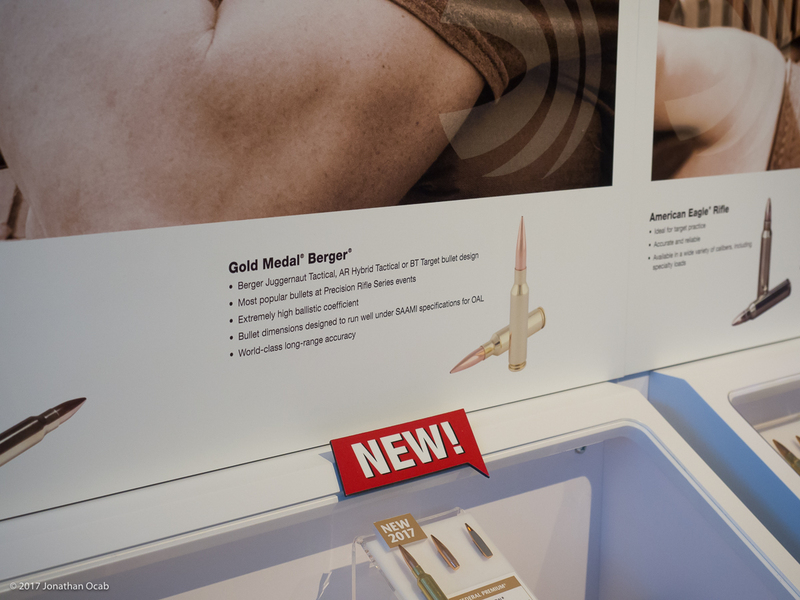 Applied Ballistics Munitions is one of the few companies producing ammunition with Berger Bullets, but at a low volume and small distribution. A manufacturer like Federal with the infrastructure to produce and distribute ammo at a large scale is now adopting Berger Bullets for a match line bodes well for shooters, especially those who still do not handload their own ammuntion. 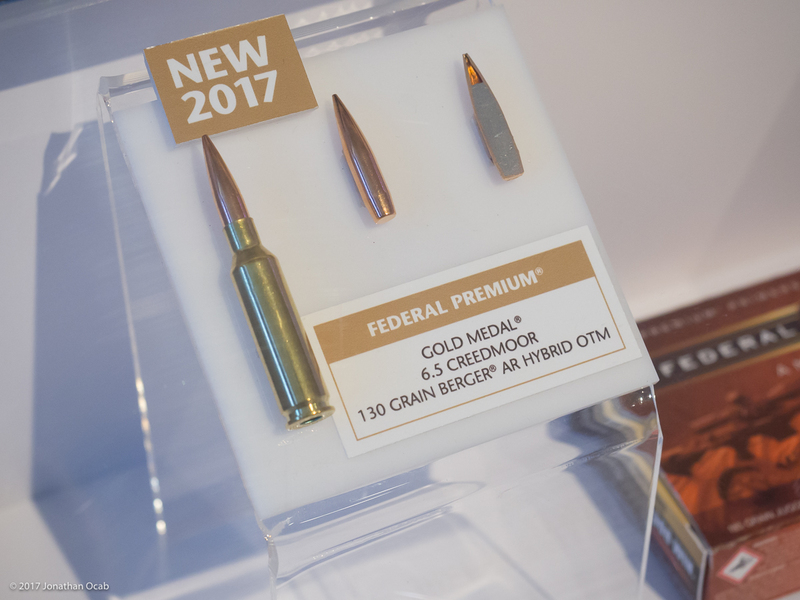 In speaking with a Federal Premium representative at the SHOT Show, he did indicate their primary concern with utilizing Berger Bullets in a new line of ammunition is being able to make ammunition that will shoot in a wide range of firearms. Berger Bullets has the stigma of being very seating depth sensitive due to the aggressive (yet highly accurate) VLD bullet designs that put them on the map. The specific Berger Bullets above are well known to be very jump tolerant, and are not seating depth sensitive. So it makes sense that Federal Ammunition selected the aforementioned Berger Bullet models to start with. Due to the popularity of 6.5 Creedmoor, I anticipate the Gold Medal Berger in 6.5 Creedmoor will be a popular seller. Ultimate Training Munitions (UTM) has been producing conversion kits for AR-15 rifles and a few different pistols to shoot their proprietary training ammunition which including low noise / low recoil powder/primer free target ammunition, non-marking force-on-force ammunition, and blanks (both noise and silent) rounds that will cycle a firearm. 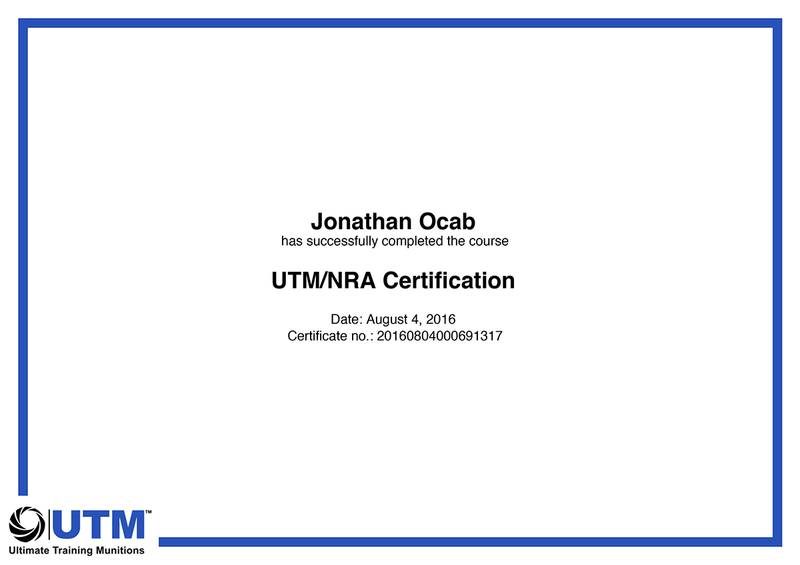 NRA Instructors can take a free online course to be certified by UTM to conduct instructional courses with UTM equipment. While the UTM conversion kits and ammunition are very interesting for training purposes, the one thing to note is that UTM did not sell their Battlefield Blank Rounds (BBR) or their Silent Blank Rounds (SBR) to the civilian public. I am not sure why, but this was restricted. But at the SHOT Show I was told that they would now be allowing sales of BBR and SBR ammunition to the civilian trainers. I think this is a great option for those that want to be able to teach or train specific firearms procedures and techniques that require the firearm to cycle as if fired, but in a non-range environment. I would like to use Silent Blank Rounds (which will cycle a firearm when fired, but will not emit noise) at home to do drills such as drawing from holster and firing, to reloads. But technically, using UTM conversions in your firearm and firing UTM munitions in your home (albeit safe) may actually be illegal because if the letter of the law is followed, discharging a firearm is illegal would be illegal in your city (unless in a situation that calls for it, e.g. self-defense, at a range, etc). 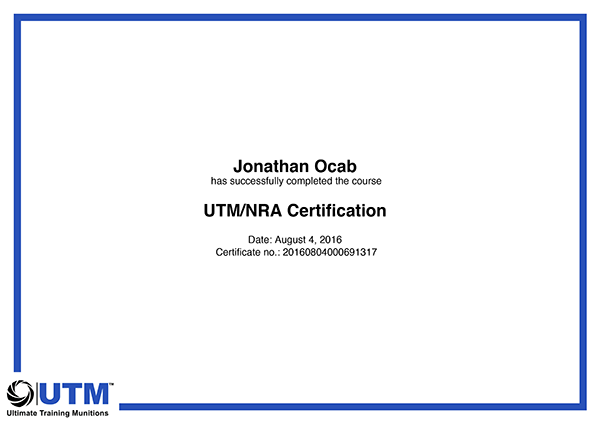 If you are an NRA Instructor and have not heard of UTM, head over to the NRA-UTM website for more information. 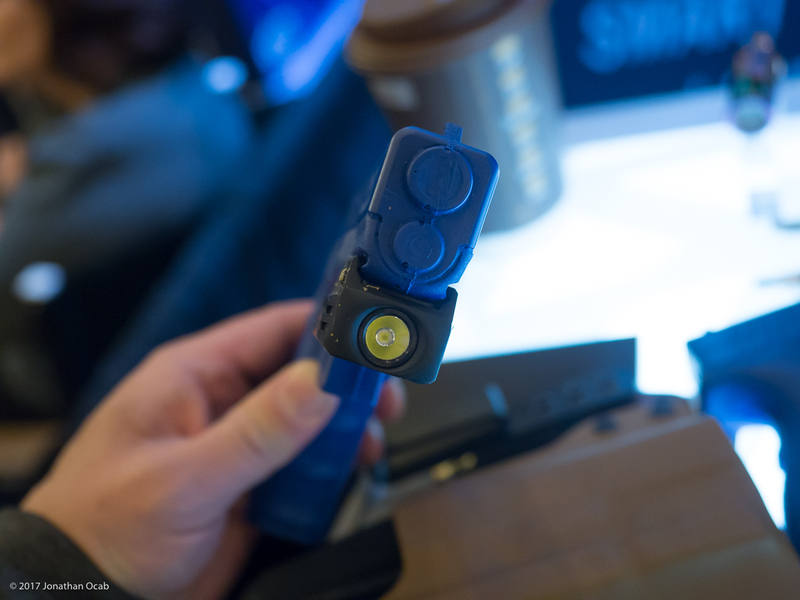 The is one non-SureFire light that I found at SHOT Show that left an impression on me and that is weaponlight by FOURSERVENS. Yes, you read that correctly: A weaponlight by FOURSEVENS. Note: The photos are of functioning prototypes. You are looking at the FOURSEVENS Sentinel WS1. 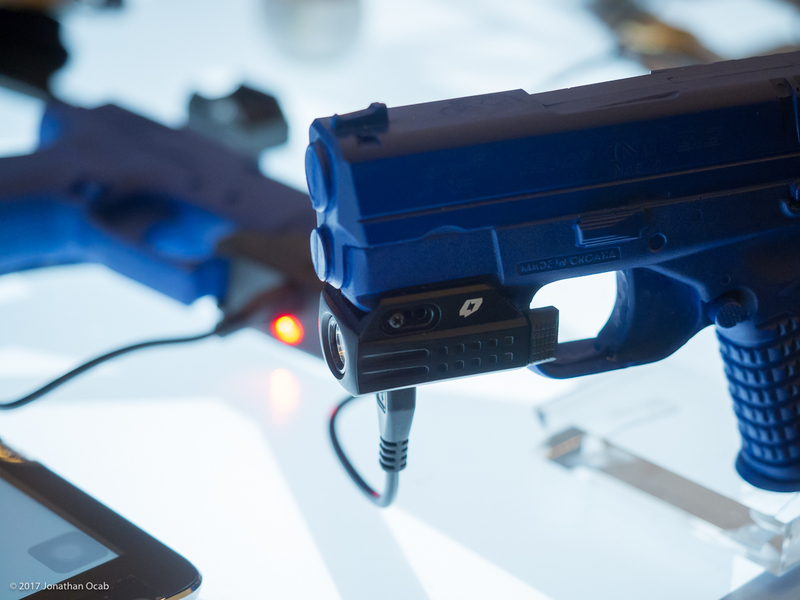 This is compact pistol mounted weaponlight smaller in form factor than the SureFire XC1. 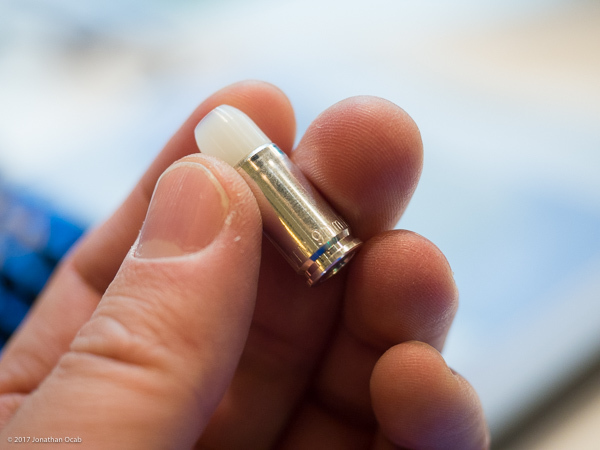 It runs off of an internal lithium-ion battery that is charged via a Micro-USB port on the bottom of the light. This battery is not user-serviceable and will require a return trip to FOURSEVENS for warranty service. The FOURSEVENS representative claims it will have a 600 lumen output, with optional low settings. The WS1 will also be programmable via a smartphone app to setup the light in the way the user wants it to function (e.g. full power setting, low power setting, strobe setting, etc). I was told the price will be approximately $100 which is very surprising for a 600 lumen light. FOURSEVENS makes some very impressive handheld lights, and the Sentinel WS1 appears to be following the FOURSEVENS lineage into the weaponlight segment. Considering the SureFire XC1 runs for $299, the FOURSEVENS looks to be a major player in the compact weaponlight market if it can perform. There is no information on the Sentinel WS1 on the FOURSEVENS website, but this light should be out later this year. 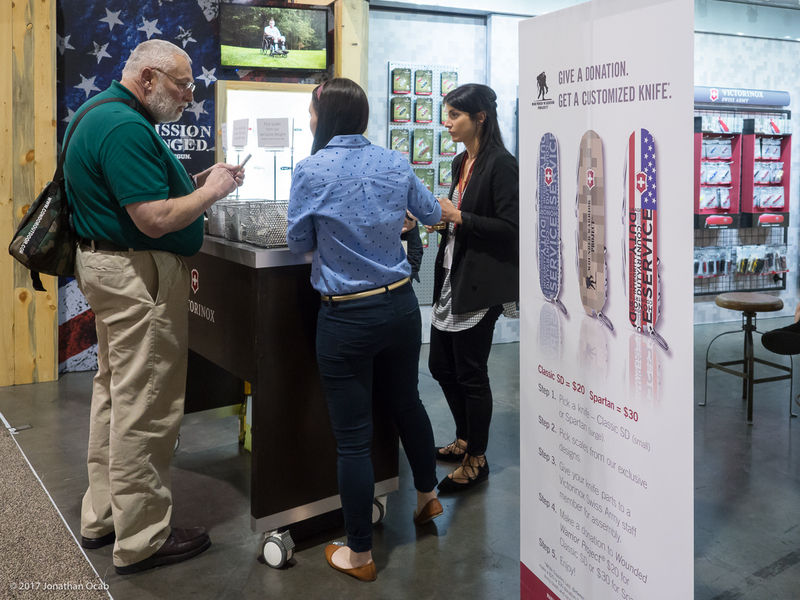 Attendees can buy a Victorinox Swiss Army Knife Classic SD or Spartan for $20 or $30, respectively, with the scales of their choice. But the entire $20 or $30 goes to the Wounded Warrior Project. FYI: I will be giving away the Classic SD that I received for donating $20 at this past SHOT Show. Stay tuned to my YouTube Channel. I still have a few more products and items of note from the 2017 SHOT Show to talk about, so stay tuned for Part 6 of my 2017 SHOT Show After Action Report. 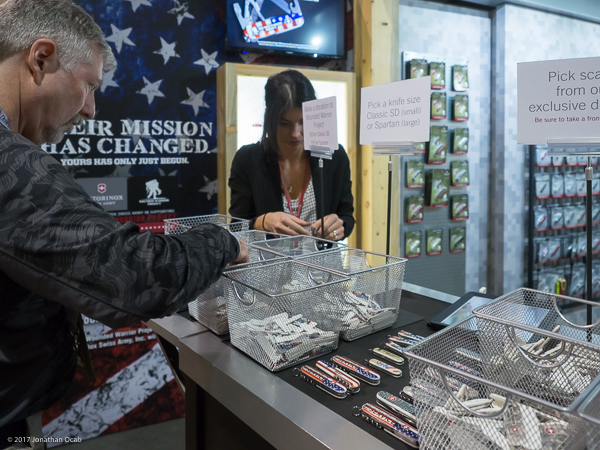 Note: All published 2017 SHOT Show After Action Reports can be found in the index / Part 0 or via the blog tag of 2017 SHOT Show.